Since Obama has been (or at least playing at)POTUS how things have gone to hell in a hand basket w/ security? The Ft Hood Shooting.An American being held in both Iran and Mexico. The Dr who helped get Bin Laden;remember the reward that was offered for his capture or kill. The Dr reward? Prison and torture. Benghazi. Fast and Furious. Those are attacks on our security. The attack at Benghazi is as good as an act of war as was the Ft Hood Shooting. Look around. Do any of these countries seem to be very concerned about the reaction of the United States? 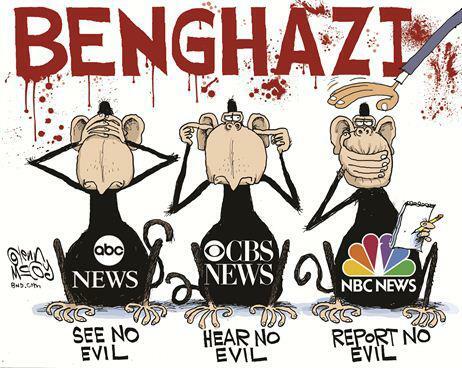 The Media questioned Obama? Hell no-their job is to cover for him. Heard a peep from Obama on any of these incidents? it's beyond being a Dem or Rep. The guy the people got elected Pres is about worthless. You call this looking out for Americans?